See You at STUDIO 54! Join us for the Party of the Year at Vero Beach’s most exclusive One-Night-Only Club; Studio 54! Celebrate Pride dressed in your most fanciful disco-fabulous ensembles, dance the night away to the funkified sounds of the 70’s, and pay homage to one of the greatest gay-cultural touchstones in history! What: Drag Performances & Comedy all evening long, DJ-ed Dance Party featuring one of Orlando’s premier gay-club DJs, GoGo Dancers, Open Liquor Bar, NY Street Concessions (hot dogs, soft pretzels, falafel, gyro & more,) Soda & Juice, Door Prizes & Luxe Gift Basket Raffle, Gay Games, Body Glitter Bar, and even more of the surprises you know and love us for! Doors open at 7:00pm, and Opening Ceremonies begin promptly at 8pm. Open Bar and Food Service begins at 7pm. What: Keep the Pride Party Vibes flowing with 15% off your entire food and beverage tab with your PRIDE WRISTBAND from 11pm until close at Kilted Mermaid’s bar and garden. What: Join us for an all-inclusive, family friendly beach party at Heaton’s Reef! Post up with your crew on the beach, and join the Pride Team for beach games, discounted food and drinks exclusively for Pride Participants, and DJ’ed tunes by Scott Roberts of Orlando. This event is FREE, No Tickets Required! The mission of Vero Pride is to bring together members of the lesbian, gay, bisexual, and transgender community, their friends, families, and allies in celebration and support of the unique spirit and culture of the LGBTQ community right here in Vero Beach. Amendment One Activists are organizing this safe, spirited, and all-inclusive event with the help of community volunteers, and could not do it without the support of our local professional partners and sponsors. As of 2019, Amendment One Activists/Vero Pride is a 501(c)(4) Non Profit Organization. VeroPride, Thank-A-Uniform at Walking Tree Brewery, SantaCon benefitting The Healthy Start Coalition, March for Science & Lagoon Education Seminar/Poster Making, Commissioner’s Office Rally for Under Privileged Children’s Fund of IRC, Numerous Write-In’s coinciding with The Women’s March, Parkland Massacre, and more. Sponsorships are now being considered for the 2019 Vero Pride Festival, held on the weekend of June 29-30. If you would like to sponsor VeroPride, please contact us. Vero Pride is organized and produced by A1A (Amendment One Activists,) a 501(c)(4) Organization. A1A is comprised of three co-founding board members, as well as a collective of local volunteers who dedicate their time and efforts to bringing an annual Gay Pride Celebration to Vero Beach. Katie Gastley is an artist, designer, and business owner, proud to lend her talents to making the inaugural and continued endeavor of Vero Pride a staple in the diverse Vero Beach community. Originally from Pennsylvania, Katie moved to New York City to obtain her BFA at Pratt Institute. There, Katie honed her craft as a designer and visual communicator working for clients such as NYLON Magazine, Penguin Publishing Group, Hugo Boss, and Martha Stewart Living, before launching her own boutique gift product company, Idlewild Co., in 2012. Since then, her company has grown into a brand distributed worldwide, including over 1000 stores in the United States, as well as a collection designed exclusively for Target Stores. 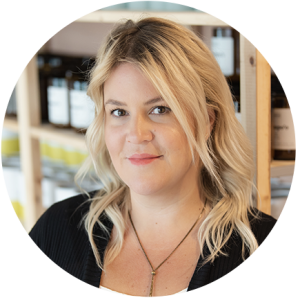 In 2018, Katie launched her second company, Botanica, a candle and apothecary products with a substantial charitable component built into the business model. In her spare time, Katie enjoys learning about and cultivating exotic, tropical plants, working on any of the 100 projects she’s currently juggling, imbibing in a good Aperol Spritz, and planning the next Vero Pride Celebration. Stephanie is Vero Pride’s financial and legal director. She resides in Vero Beach with her wife, Maude-Aimee LeBlanc, and their two cats: Chunky and Cobra. Professionally, Stephanie is a partner at the law firm of Lawn and LeBlanc, PLLC. 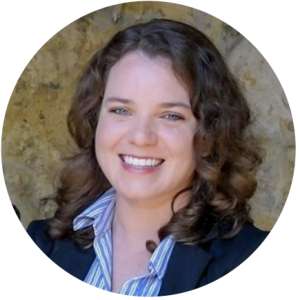 Stephanie’s practice areas include estate and lifetime planning, probate and trust administration, tax planning, and business law including not-for-profit organizations. Stephanie graduated from Florida International University’s Accounting Program and was able to also achieve her Masters of Law in Taxation during the course of her third year of law school through the University of Miami School of Law’s Dual Degree Program. Through Vero Pride, along with fellow directors Katie and Shelley, Stephanie is able to contribute towards a recognition event where love and identity in its various forms is openly and joyously celebrated. 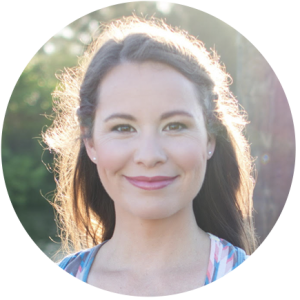 Shelley has a passion for yoga, energy management, comparative philosophy and self expression. Professional highlights include NYC Studio Management, Studio Ownership, Teacher Trainings and Retreats. Raised a military brat, she’s farmed in the Texas Hill Country, Managed an Israeli Soap Company, spent ten years in New York pursuing acting, and other adventures that have demanded curiosity and have fostered her Inclusive spirit. You can follow her @shelleyadelle and @yogaoagodaconcierge #86bs. to major product launches with over 700+ attendees, Karen’s organizational strengths and strategies to deliver events on budget and on time provided her with the opportunity to serve clients in Vero Beach and Key West, where she and her husband Bob have made their home since 1992. Karen’s portfolio includes community events, food festivals, multi-day conferences, hospitality functions, and corporate sales rallies. Contributing her creative efforts to the Vero Pride Directors for the past three years has been immensely rewarding; working toward a future without discrimination. Their efforts to grow and bring awareness, while celebrating inclusion and diversity, has fostered a vibrant culture where everyone is respected and has a sense of belonging. You can follow her @streetratphotography. You may make donations to Vero Pride 2018 (or our Scholarship fund specifically) via Paypal. Want to Volunteer at VeroPride? Contact us!